Nordost Blue Heaven 1m Interconnect Made In USA Brand New. 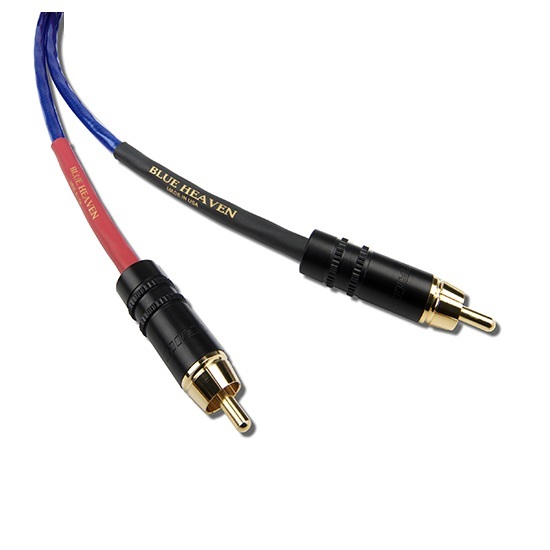 The Blue Heaven LS Analog Interconnect is a fully-shielded design that can be terminated for balanced or single-ended connection. It employs four, heavy-gauge 24 AWG, silver-plated 99.9999% OFC solid core conductors, precision wound in a minimum cross-section configuration that eliminates unnecessary fillers or padding elements. The insulation is high-grade FEP, selected for its superior dielectric performance, while the elegant minimalism extends to the carefully selected low-mass connectors and differential grounding. 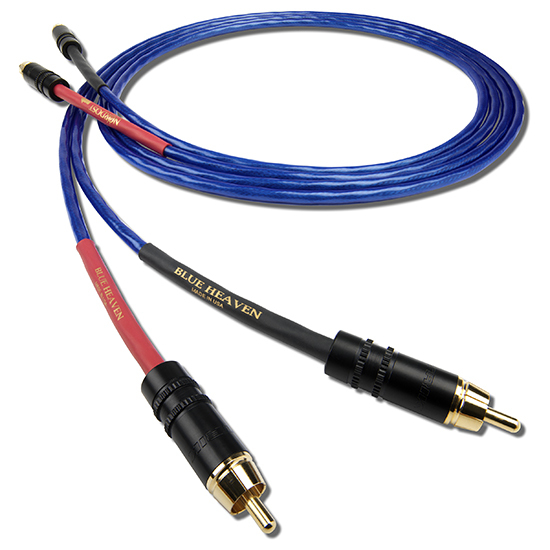 Like all Nordost cables, the Blue Heaven LS Analog Interconnect is manufactured and hand-terminated in the USA, enabling us to further guarantee consistent performance. The result is a high-speed, low-loss interconnect that preserves the sense of musical power and momentum, bringing believable shape and presence to performers, color, life and drama to their performances.